The White River National Forest will consider yet another new lift project over the coming months, this time high on Aspen Mountain. A Notice of Proposed Action released today comes as the most-skied forest in the country simultaneously weighs proposals for two new lifts on Vail Mountain, two in McCoy Park at Beaver Creek and one at Aspen Highlands. 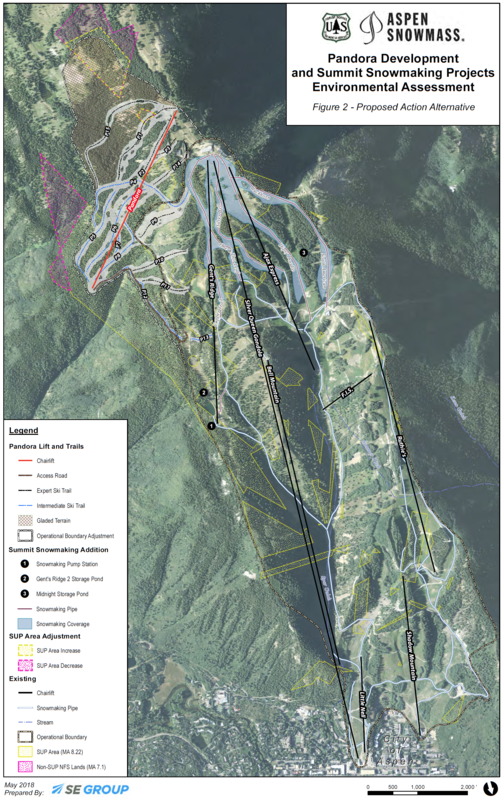 For Ajax, Aspen Skiing Company proposes to build the long-dreamed of Pandora lift to the east of the current Gent’s Ridge lift while adding 148 acres of new terrain. The 4,191-foot top drive detachable quad would likely meet the Forest and SkiCo’s shared goals of enhancing terrain variety, improving circulation and providing reliable and consistent snow coverage. Unlike many of its peers, only 37 percent of Aspen Mountain occupies National Forest lands while the other 63 percent is privately held. 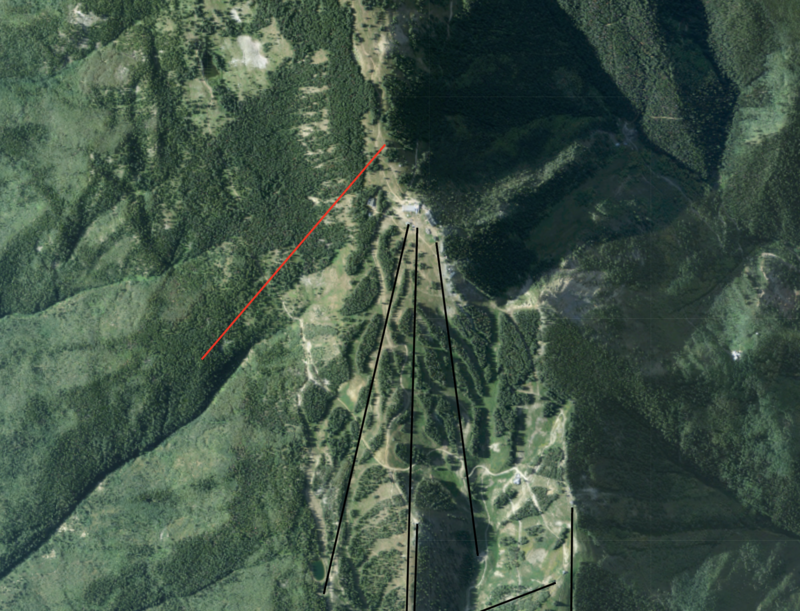 The new lift would traverse some of each and move up to 2,000 skiers per hour to the summit. Vertical rise would be 1,220′ compared with 1,079′ at the longer and flatter Gent’s Ridge. Aspen Skiing Company also proposes to add 53 acres of snowmaking coverage on six existing trails nearby. A 30 day public scoping period runs through June 15th and input is being accepted online. Project engineer SE Group has prepared an interactive web app to assist the public and there will be an open house as Aspen’s Limelight hotel next Wednesday night. Aspen Snowmass hopes to win approval around the new year and build as early as 2019. Sounds amazing! I can’t wait!